Hakua. It means ‘search’ in Finnish, but it also means ‘chalk’ in Japanese. 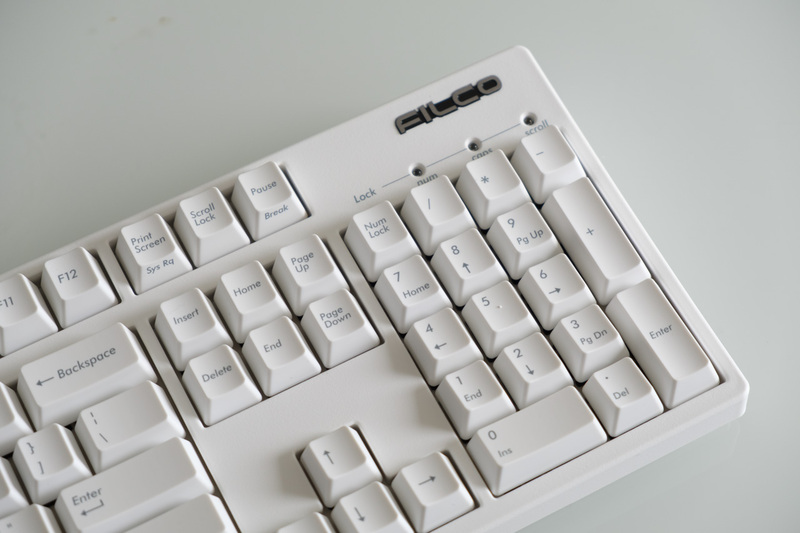 It’s also the name of Filco’s latest mechanical keyboard. The Hakua is a chalk-white version of the legendary Majestouch-2, and it really is a stunner. 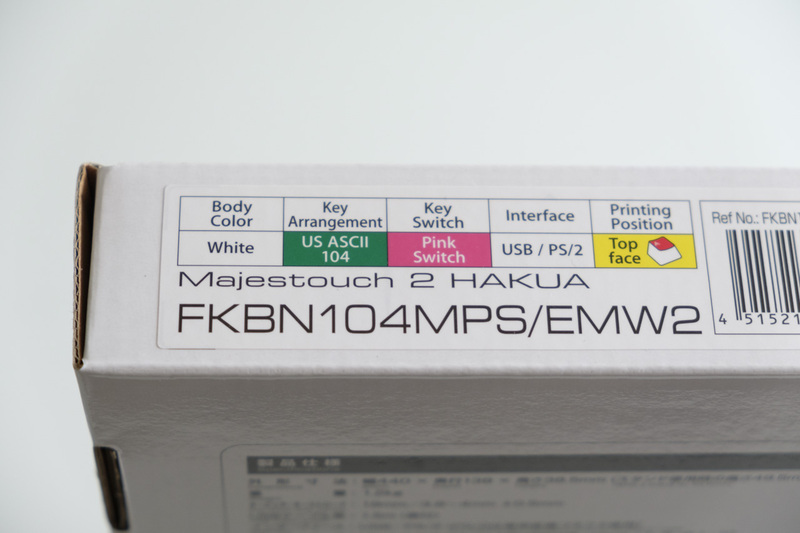 This particular Hakua keyboard has a secret too: it’s got Cherry’s brand new MX Silent Red switches. Let’s take a closer look (and a listen!) in our hands-on review. Despite the new colour, the overall design hasn’t changed since the original Majestouch-2. You’re still getting a rock-solid mechanical keyboard, with a plate-mounted PCB and light ABS keycaps that provide a blissful typing experience. 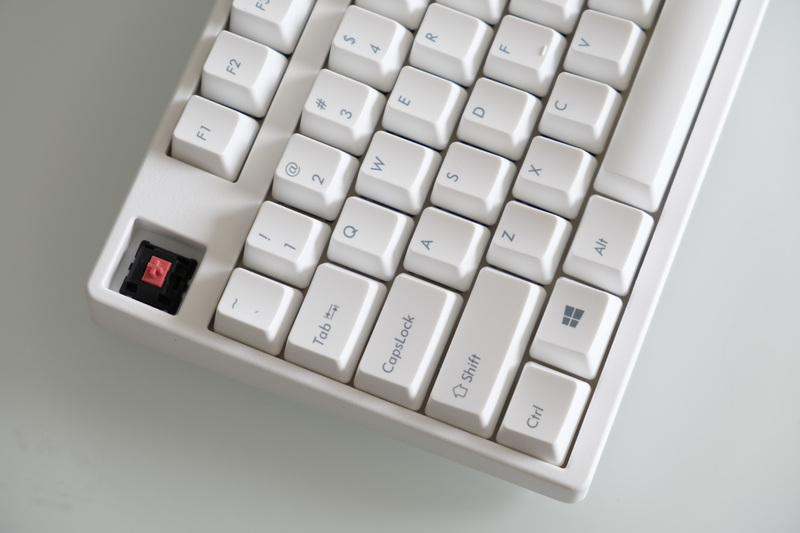 The layout is completely standard, and the keycaps are inscribed with Futura legends. 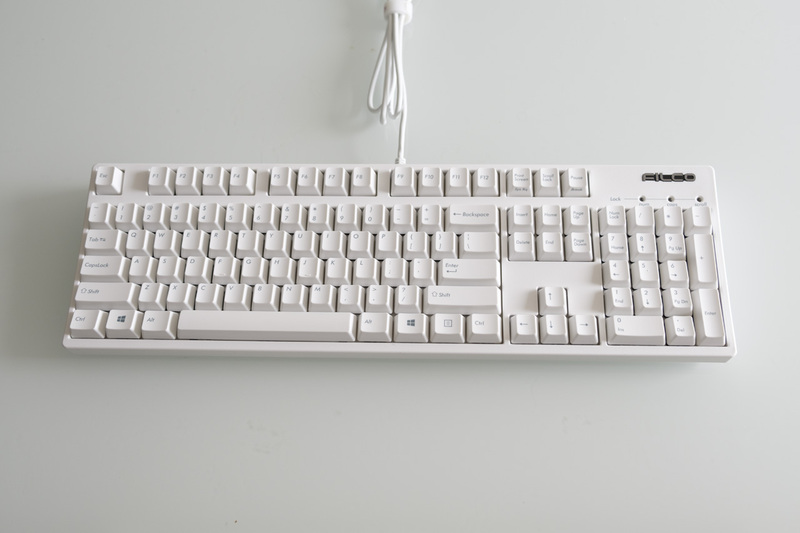 Both full-size and TKL (tenkeyless) versions are available; I’m looking at the full format version at the moment. The Hakua’s clean, modern aesthetic makes it the centre of attention on any desk. It looks brilliant as it is, but I’m also going to predict that this will become one of the most popular keyboards for customisation as well. Whether by changing the fascia or adding custom keycaps, these Hakua keyboards seem like the perfect starting point for anyone that wants to set their keyboard apart from the crowd. 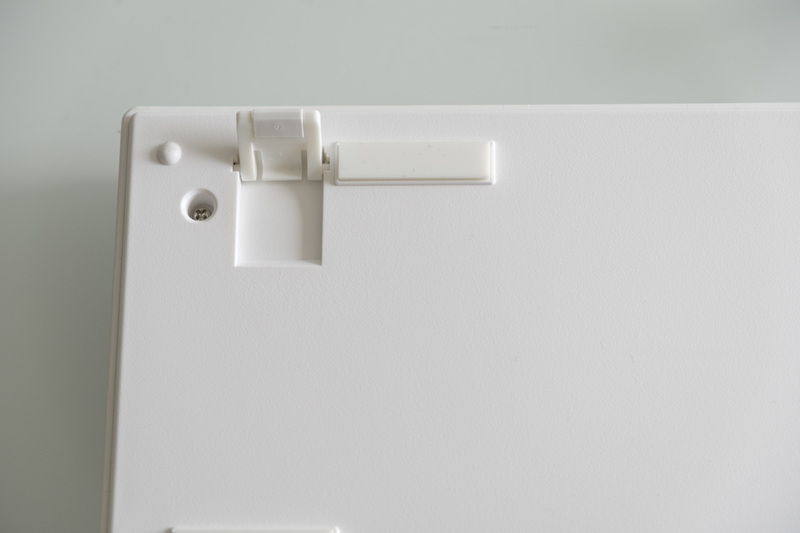 The bottom of the keyboard is also white, in case you were wondering, and includes the usual movable feet to angle your keyboard how you want. The non-removable USB cable also comes with a white-and-pink velcro tie to keep it nicely bundled up while you’re on the move. Finally, the keyboard comes with a USB-to-PS2 adapter and a clear plastic cover that will keep it dust-free. 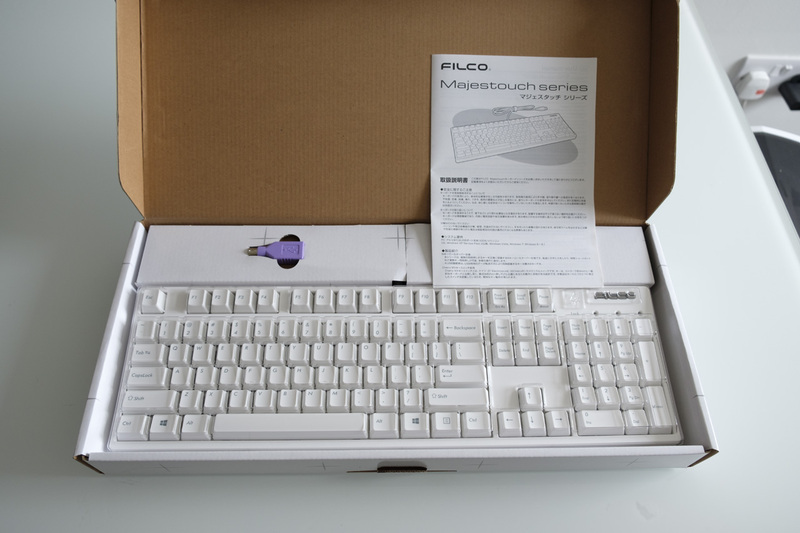 I used the Filco Hakua for one week as our go-to mechanical keyboard (fighting off a lot of opposition, let me tell you!). After using smaller 60%-size and TKL keyboards for a long time, it was a breath of fresh air to return to a full, completely standard layout. The new switches were a lot of fun too. 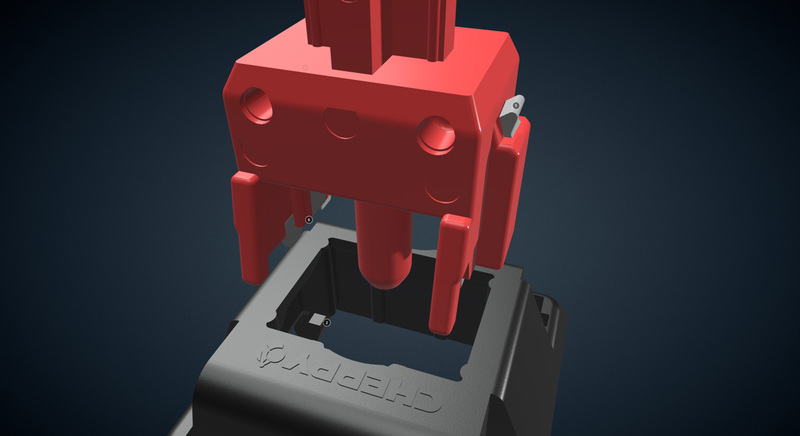 They’re just as light as MX Red switches, at 45 grams, but rubbery TPE built into the switch provides sound dampening on both the upstroke and the downstroke. That makes for an incredibly quiet mechanical keyboard, which produces deeper tones compared to the normal clatter of a mechanical keyboard. If you work in an office and you’re worried about annoying your coworkers, then these are the switches that you should be getting. A side effect of the dampening on the downstroke is that you get a slightly ‘cushioned’ feeling, similar to typing on a Topre electro-capacitive keyboard. I found this quite nice, but as always it will be a matter of taste. Try it for yourself and let us know what you think! Thanks for checking out the article, and be sure to let us know what you think of the new keyboards in the comments below. I’ve certainly enjoyed my time with them, and I’m sure you will too! 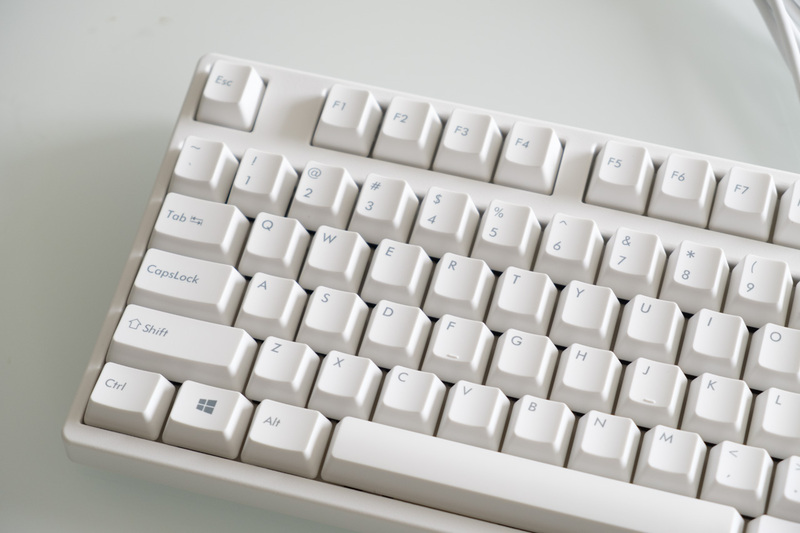 ‹ Topre keyboards in EU / ISO layouts in stock now!